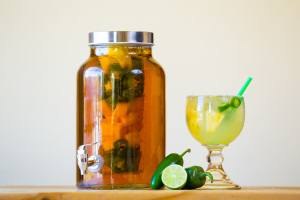 In recent years, craft cocktails have grown exponentially in popularity. 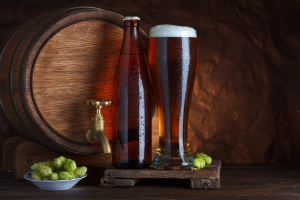 Some establishments are learning how to incorporate fresh ingredients into their libations and others are tilling over micro brewing equipment for the perfect malt. Whether you’re the first or the latter, you may think the new trend seems expensive and unattainable for your venue. While there is no shortage of high-end bar supplies - from gold plated bottle openers to crystal bottle stoppers - they aren’t necessities for joining in on the latest liquor crazes. Getting creative with cocktails doesn’t mean burning a hole in your pocket. With the following tips, you will be able to create cocktail masterpieces without any of the overpriced and excessive tools that cost you an arm and a leg. All you need are the basics and a (lemon) twist of creativity to succeed in the bar business! Bottom vs. Top Shelf: Out with the Old Fashions, In with the Greyhound? Major producers are distributing countless flavors of vodka and every local watering hole is peppered with brightly colored bottles of these artificially flavored spirits. These flavored vodkas are on the rise which allows bartenders to create more “new” and “unique” recipes. The more un-shelved (local, not widely distributed) types of liquor used, the more exclusive the cocktail. Many establishments use the advantage of the various vodka flavors and the spirit’s fair prices to create their crafts. Today, distributors sell every type from blueberry to bacon. Although the merits of Smirnoff Ice as a revolutionary drink are highly debatable, the modern age of flavored, bottom shelf spirits has been born. 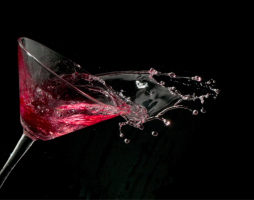 Is it the end of all traditional drinks as we see muddlers and hand juicers tossed in a crate in the back office to collect dust with the bottles of Sweet Vermouth and Campari? No, worry not! The whole list of upscale cocktails can be re-examined with a spin! The premium cocktail is often depicted as an elitist way to imbibe. Though, with the new organic movement turning its gears, infusion based drinks, flavored simple syrups, and muddled creations have become fair game. Today, cinnamon sugar brims rocks glasses of bourbon, gimlets are accented with fresh cranberries, and grapefruit is mixed with champagne in various grades of establishments! Use the fresh fruits and spices that are (typically) already available to you in your restaurant to jazz up traditional drinks. In addition to switching out pre-mixed sugary juices with fresh squeezed juices, the easiest way to add dimension to your bar is to have a selection of infused simple syrups. These syrups are easy to create and rarely involve more than poaching or boiling combinations of fruits and adding sugar. Some of the best widely produced syrups are vanilla, rose, mint, mint & lemon, and of course the ever satisfying combination of basil and lime. Water, sugar, basil and lime are common ingredients in every restaurant & bar and can transform any ordinary drink into an exotic and enticing beverage choice. No matter the time of year, there are always unique recipes waiting to be created. 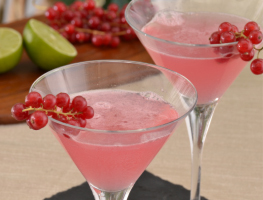 There are many imaginative spins on cocktails for each season. Star anisette, coriander, nutmeg and clove are all great spices to infuse into syrups for use with traditional cold whiskey drinks during the winter months. 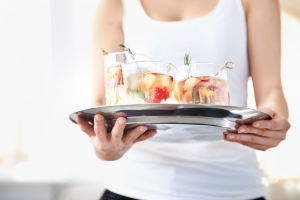 Dress up your summertime drinks with jalapeno, mint-lined ice cubes, or peaches for some fresh and tangy mixes. The possibilities are endless! 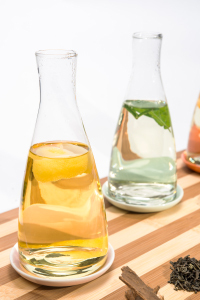 Have you experimented with infusions and now you’re looking to make a bigger impression? There are many different ways to infuse and store your new creations. 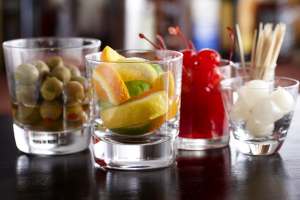 The simplest way to go about creating and storing mixed beverages is in a Lexan® container. Then you can use the jug to top off smaller bottles, which is ideal for bars where space is limited. There are also many affordable and elegant large capacity beverage dispensers on the market that are preferable to the bulky plastic bins often found in self-serve breakfast buffets. These large volume holders range in size from one to three gallons and are most times outfitted with refillable ice chambers. These dispensers are ideal for keeping batched cocktails cold and ready to serve. The everyday coffee air-pot is the classic answer to storing hot mulled drinks like ciders, toddies, hot chocolate and coffee drinks. The stainless steel lined pot can keep beverages warm for up to six hours which is just long enough to serve through a full dinner shift at a busy eatery. A two foot tall, 1.5 gallon, stainless steel topped beverage dispenser is a visual merchandising wonder that will grab the attention of every bar patron. The simple, large capacity beverage holder will silently advertise the fact that you have custom cocktails available while also providing a highly functional way to serve labor intensive drinks. Bottom or top shelf, hot or cold, small batch or large batch, there are easy and affordable solutions to bringing your bar into the new wave of cocktail creation. So mix, muddle, accent, and create!